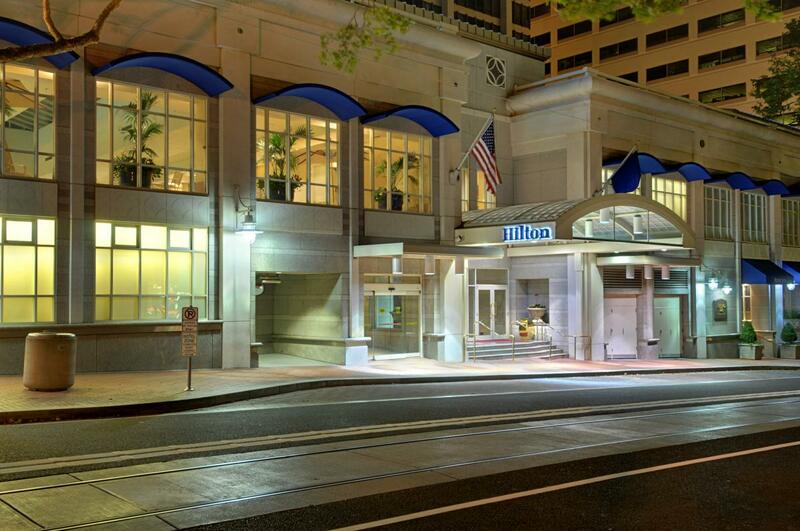 Located in the heart of downtown Portland, the Hilton Portland & Executive Tower encompasses two buildings. Relax and rejuvenate in the contemporary main building guest rooms or upgrade to the elegant Executive Tower and take in the commanding city views. - Special rates for COSA seminar registrants. - Single/double $189 plus 15.3% hotel occupancy tax and tourism improvement district tax. - Rate offered through Monday, September 26, subject to availability. - Rates offered 3 days before and 3 days after the conference dates, subject to availability. - Complimentary internet in guest rooms. To make hotel reservations call 1-800-HILTONS (1-800-445-8667). And ask for group code CLP or ask for the COSA Law Practice Seminar rate. The hotel offers classic American cuisine in the informal HopCity Tavern. Choose from a selection of tasty pizzas, specialty salads and classic sandwiches. Dine on Italian cuisine at Porto Terra Tuscan Bar and Grill. Unwind with your favorite drink in the HopCity Tavern Lounge. Stay active in the pool and fitness center located in the Executive Tower, offering everything from free weights to an indoor waveless pool. Do business in the 24-hour business center with internet access. The Hilton Portland & Executive Tower is only a block from the MAX Light Railway System and just 10 miles from the Portland International Airport.